First a lesson on what is a Photowalk? Photowalking is a simple way of saying get out and take pictures! We require nothing more than a good pair of walking shoes and a camera of some kind. You can come along even with a cell phone camera to enjoy the sites and socialize with your fellow photo buff. Any experience level is welcome and encouraged to come along. One of the joys of Photowalking is seeing how everyone gets a different view of the world around them; don’t be shy to ask someone why they are taking a picture a certain way this is what makes us better as photographers. If you would like to see some of the past Photowalks and what they are like visit my flickr site here. When: Oct 10th 2011 starting at 09:00 a.m. usually ending about 2 hours later. Ending times are open to your schedule; the bus fare will have a 2 hour limit. If you only want to pay the one fare you need to be on the bus within 2 hours. You are free to leave the walk at any time many of us will get together and get lunch after the walk. The bus fare is 2.25$ they suggest cash for the bus fare so stop by the ATM and get some cash/change before going. Where: Volunteer Park, We will be meeting at Sheraton hotel main lobby at 09:00 a.m. Look for a group of people with lots of camera gear. I’m not a small person and pretty hard to miss, I’ll have a tripod with me as well. Be ready at 09:00 since the bus comes at 09:15 right next to the Sheraton. We will board the Route 10 bus towards the capitol. The bus route is listed on this map. Once we arrive at Volunteer Park we like to get a group shot of everyone and then you’re free to roam. Why: To have fun and socialize of course! 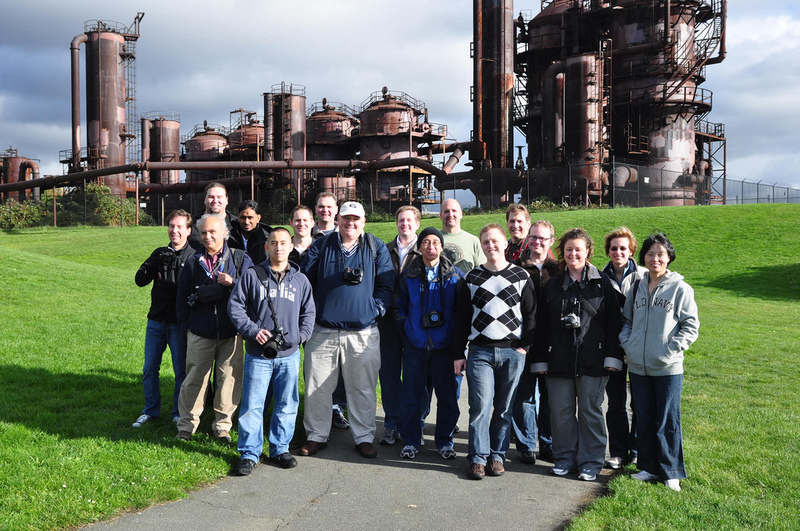 #sqlpass #photowalk are the hashtags to use via twitter. Good walking shoes, a Photowalk usually is about 1-2 miles depending on how much your moving around. Any and all photo equipment you feel comfortable carrying around. If the weather is really bad (raining really hard), I will work on making an alternate site in the convention center where we could have some fun with portraits. I will be bringing some of my flash/portrait gear and we could do a quick lesson/session on doing portraits. I think I’ve covered all the details I’ll put them in a little easy box down here that you can copy out and paste into your calendar item you’re going to put on your phone for the event. J Go do it now so you don’t forget! I hope to see you all at the photowalk! If you have any questions/concerns feel free to leave a comment below or write me at here. This entry was posted in pass, photowalking, Uncategorized and tagged PASS, Photowalking. Bookmark the permalink. Had great time last year and planning on it again this year.